PennsylvAsia: 2016 Japanese animated movie A Silent Voice (聲の形) returns to Pittsburgh with English dub, February 24. 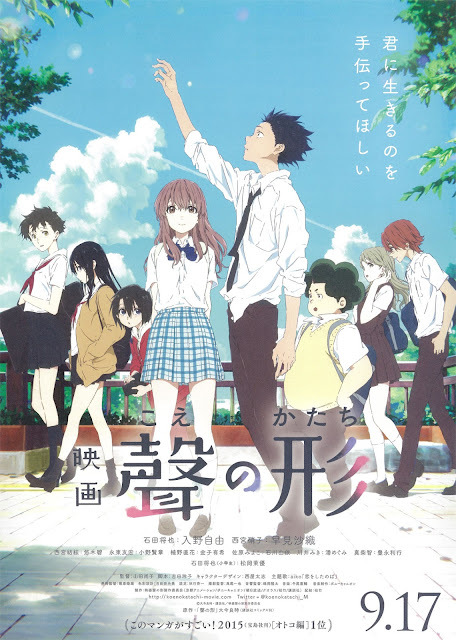 2016 Japanese animated movie A Silent Voice (聲の形) returns to Pittsburgh with English dub, February 24. A 2:00 pm show will be dubbed in English, while the 4:30 pm show will have English subtitles; tickets for the latter are currently available online. The theater is located at 1449 Potomac Ave. in Dormont (map), and is accessible by Pittsburgh's subway/LRT at a block south of Potomac Station.